Please support our Spring Flower Sale this year. All proceeds from this fundraiser are used to help vulnerable children and elderly members in our community. This year the proceeds from our Spring Flower Sale will be divided between the Habitat 500 (www.habitat500.org) and Jewish Family and Children’s Service of Minneapolis (JFCS). Habitat 500 is a bike ride that raises funds for Habitat for Humanity. 99 cents of every $1 raised goes to new homes. JFCS is a multiservice nonprofit agency serving people from all backgrounds with programs and services from early childhood learning and career services to personal counseling and senior services (www.jfcsmpls.org). Orders must be received by March 23 (March General Meeting) to meet the delivery date. 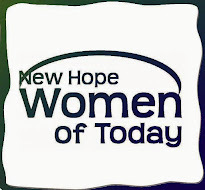 Please make checks payable to NEW HOPE WOMEN OF TODAY.